Cochrane’s is committed to protecting your privacy in all forms of media (electronic or hard copy) the Company utilises. This Statement of Privacy applies to the Cochrane’s website, customer, personnel and general business records, and governs all data collection and usage. By using the Cochrane’s website, you consent to the data practices described in this Statement. Cochrane’s may collect personally identifiable information, such as your e-mail address, name, address or telephone number. Cochrane’s may also collect anonymous demographic information, which is not unique to you, such as your post code, age, gender and favorites. There may also be information about your computer hardware and software that is automatically collected by Cochrane’s. This information is used by Cochrane’s for the operation of the website, to maintain quality of the service, and to provide general statistics regarding use of the Cochrane’s website. Cochrane’s encourages you to review the Privacy Statements of websites you choose to link to from Cochrane’s so that you can understand how those websites collect, use and share your information. Cochrane’s is not responsible for the Privacy Statements or other content on third party websites. Cochrane’s may collect and use your personal information to deliver the services you have requested. In addition, Cochrane’s may also use your personally identifiable information to inform you of other services available. Cochrane’s does not sell, rent or lease its customer lists to third parties. Cochrane’s may share data with trusted partners to help us perform statistical analysis, send you email or postal mail, provide customer support, or arrange for deliveries. All such third parties are prohibited from using your personal information except to provide these services to Cochrane’s, and they are required to maintain the confidentiality of your information. Cochrane’s will only disclose your personal information, without notice, if required to do so by law if necessary to: (a) conform to the edicts of the law or comply with legal process served on Cochrane’s; (b) protect and defend the rights or property of Cochrane’s; and, (c) act to protect the personal safety of users of Cochrane’s, or the public. Cochrane’s secures your personal information from unauthorised access, use or disclosure. In addition, Cochrane’s secures the personally identifiable information you provide on computer servers in a controlled, secure environment, protected from unauthorised access, use or disclosure. BJ Ball has been using Cochrane's (formerly Northern Kope) for over 5 years. 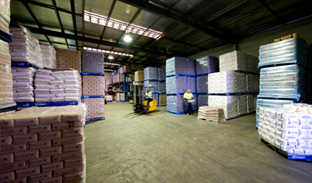 During that time, BJ Ball worked with Cochrane's to rationalise the number of freight companies used from 6 to 1. 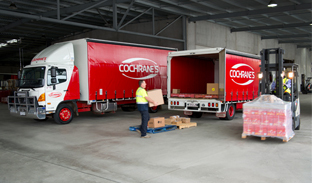 BJ Ball now use Cochrane's for all of its regional freight and experiences great customer service. Whilst Cochrane's has grown over the years, I enjoy the fact that I can still ring a manager and talk to them straight away. 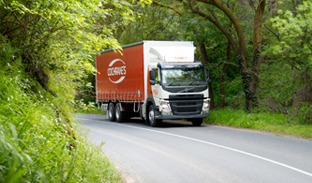 I know that our logistics team get very good service, the invoices are always accurate, and any customer issues are dealt with quickly and professionally.